Exercise is important in lung cancer, yet most people do not meet the physical activity guidelines. 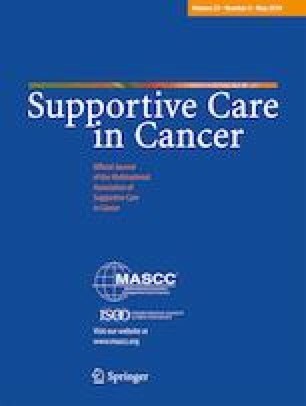 The aim of this study was to characterise the views and experiences of participants with inoperable lung cancer who completed a home-based rehabilitation program. Ninety-two participants were recruited (45 intervention group [IG], 47 usual care). Individual semi-structured interviews were conducted with participants randomised to the IG of a trial of home-based exercise, behaviour change and symptom management. Data were independently coded by two researchers, cross-checked and analysed using content analysis with a summary of arising themes. Of the IG (25/45), 55% were interviewed: mean (SD) age 67 (13) years; male 52%; disease stage n (%) III = 9 (36), IV = 11 (44); radical treatment intent n (%) 13 (52). The majority of participants reported program benefits, both in the physical domain (reduced sedentary time and improved strength, fitness and function) and the mental domain (motivation to keep healthy, preventing boredom). Support to self-manage symptoms was well received and many participants reported increased confidence in managing their symptoms. Exercise enablers included having expert health professional support; motivation to be stronger and better prepared for future challenges; and having an achievable and familiar program that was monitored. Treatment side-effects, pain from comorbidities and the weather were exercise barriers. For the majority of participants the use of a Fitbit™ activity tracker, text message exercise reminders and an exercise diary helped to promote adherence. This home-based rehabilitation program was acceptable to most participants with multiple benefits reported including improved fitness, motivation and ability to manage symptoms. The online version of this article ( https://doi.org/10.1007/s00520-019-04783-4) contains supplementary material, which is available to authorized users. The authors would like to thank all participants who were interviewed for the study. In addition, we would like to thank Dr. Selina Parry, Ms. Lucy Bucci and Ms. Jennifer Jones for the research assistance they provided in developing the interview schedule and conducting the interviews. This research was funded through a National Health and Medical Research Council project grant (APP1060484). Lara Edbrooke is the recipient of a Victorian Government Olivia Newton John Cancer Wellness and Research Centre Supportive Care PhD scholarship, through the Victorian Cancer Agency (ONJ16010). All procedures performed were in accordance with the ethical standards of the Peter MacCallum Cancer Centre ethics committee and with the 1964 Helsinki declaration and its later amendments or comparable ethical standards.